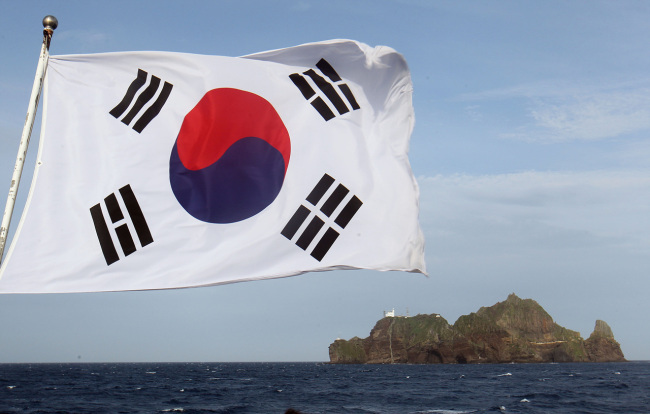 Since the death in October of Kim Seong-do, who had lived on Dokdo with his wife since November 1991 as one of the islets’ two official residents, numerous people have expressed interest in taking his place. However, Ulleung-gun has clarified that it has no plans to accept new residents and the late Kim’s widow, Kim Sin-yeol, will remain there as the sole resident. Local media reported on Tuesday that the late Kim’s son-in-law Kim Kyung-chul would officially reside on Dokdo starting in April. According to reports, the younger Kim plans to operate a souvenir shop there and has already registered the business. But the Dokdo Management Office denied the media reports Wednesday in a telephone call with The Korea Herald. The office said it had neither consulted with Kim Kyung-chul nor been informed of his business plans. Prior consultations are necessary for anyone wishing to register as an official resident of Dokdo. Choi Eun-chae, the daughter of the first official resident of Dokdo, has also expressed interest in living on the islets since November. She has argued that she is qualified to live on Dokdo because she lived there with her father for 13 years and that her husband has also lived near the sea. Despite the requests, the Ulleung-gun Office said Dokdo’s sole residence has only one room and that building a new home or extension is not an option because Dokdo is a natural area where construction permits are rarely issued. Some 40 police officers and lighthouse maintenance workers temporarily reside on Dokdo for security, but the late Kim’s widow is the only one who lives there all year round as a symbol of Korea’s sovereignty over the islets.